Find this article helpful? Click the buttons and share with your friends! It saddens me to see the number of cats that are surrendered for euthanasia or adoption because expectant mothers are told that their family cat is a health risk to their unborn child. Doctors, clinic nurses and worst of all, pre-natal class nurses are spreading this unnecessary scare-mongering. 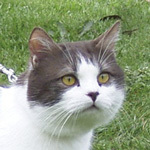 It goes without saying that many people contemplating a lifestyle change to a retirement or lifestyle village want to be able to take their cat with them. 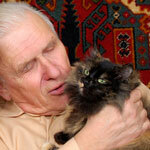 Can cats make an ideal pets for old people? There is nothing cuter than watching kittens play, but why do they do it? It looks like a waste of energy! 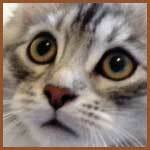 Is it only kittens that play and is there an age when play stops and all activity has a serious intent? Our cats don’t see the need for cat beds. As far as they’re concern they have one. It’s our bed! As much as I love our cats, sleeping gets a bit difficult at times. Once you have twelve cats and two adults on a king-size bed, movement becomes challenging. 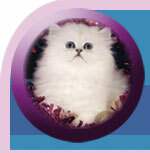 Read this article to find out where was this breed coming from and why they have been recognise as "the dwarf" cat! Prevention is always better than cure. 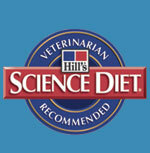 In this article you will find some ways to prevent health care for your cat. “Would you re-home your children?” That may seem a shocking question to ask someone but it is just what is asked of them by Katina Balson from her cat rescue shop at Paddington in Brisbane. 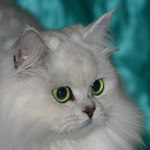 Designed in Australia by Dr. Truda Straede, This only True Blue Aussie Cat was developed by combineing the Domestic Tabby, Burmese and Abyssinain Breeds. 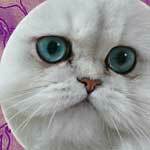 A large number of cats in Brisbane are infected with FIV (Feline Immunodeficiency Virus) and it causes the death of many cats that we see each year. 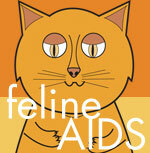 Recently a vaccine against FIV has become available in Australia, which is a major break through. The companion animals industry embraces a huge range of diverse and in many cases, highly specialised operations. From small-scale “cottage industry” businesses supplying a small niche market, through the Veterinary Services to the multi-national manufacturers of pet foods supplying the mass-market retailers in grocery. Owning a cat is a big responsibility, and a privilege. 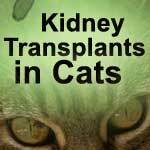 Kidney failure is one of the most common diseases that cats get and in its early stages can be treated with diets and medications. 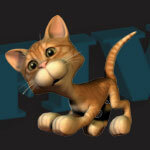 Did you know that you could show your pet cat in a regular cat show and win awards prizes and titles for your pet?? She showed us some photographs depicting how shows were done in her country and amongst her photos she proceeded to show me several photos of the most beautiful Siberian’s, and that was it I was hooked the more I looked at them the more I was impressed, I don’t think I had ever seen anything so pretty. The name Himalayan came into being because the colour pattern is the same as rabbits and goats found around the Himalayan Mountains. 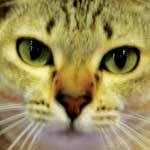 Asthma in cats is also called allergic airway disease or allergic bronchial disease. When you think about it, a behaviour change is the first thing that gives you a clue that all is not well with your feline friend. 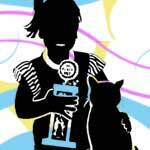 The Animal Welfare League of Queensland Inc. was founded in 1959 by a small group of people on the Gold Coast who were determined to improve the facilities available for the care of stray and unwanted animals. This is a virus which has stolen the limelight in recent years. Cats have had it as part of their environment for hundreds of years or so, and seem less affected by it than we are on their behalf. 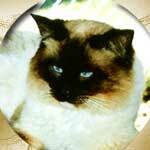 Aussie Cat Enclosures - Custom and pre-made cat enclosures & accessories! Persians & Exotics in an array of colours. Pet Door Designed Specifically for Insect & Security Screen Doors. 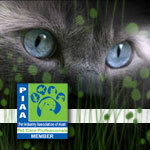 Visit Petway Pet Doors! *There are currently 197 people online.